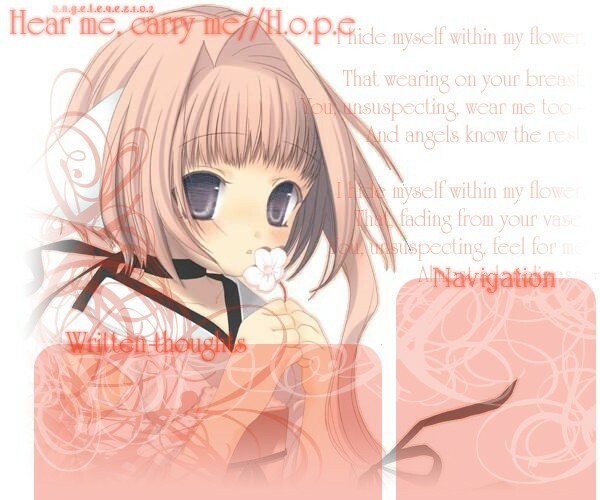 Listening to: Ingited by: T.M. Revolution. Hey Everyone, Yesturday was great but today is boried. I have not clue what to do. I think I'll call my sister and see if I can come over to her place which sounds anesome! I hope she's not busy. 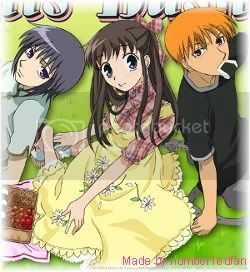 ^^ Oh I just change my theme again to Fruits Basket. How do you think? Okay I try to think of what else I want to tell you...but can't think of anything. So I just go on to the question of the day/Animation of the day. Q: Is anyone it Japanese Pop/Rock music? If so what's you favorite band or singer? Line:" L-O-V-E! We love Yuki! Yuki! Yuki! La-la-la-la-la!"